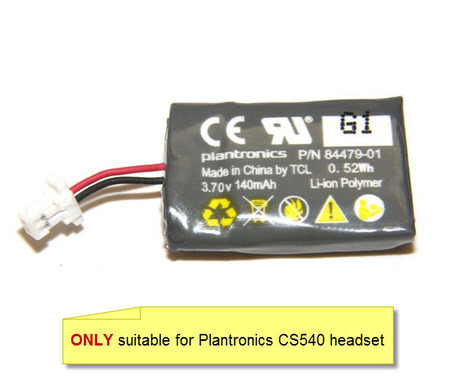 If your headset base shows Plantronics C054A, this is the battery for you. This is a genuine manufacturers replacement - not a "cheap and nasty" copy. If you buy a non-genuine copy, check the warranty - they don't usually have any. The Plantronics C054A has a replaceable battery (Part Number is 86180-01). It is recommended that these batteries be changed every two years. With a single full charge, the C054A will provide up to 6 hours of talk time. Talk time will be reduced when operating in wideband mode or if the headset is used consistently at a far distance from the base. If you are on a call and the headset battery is critically low, you will hear a repeated single low tone every 15 seconds indicating the battery is low. You should recharge the headset immediately. If you are not on a call and press the call button, you will hear three low tones if the battery is critically low. You should recharge the headset immediately. Suitable for your headset top where your headset base has Plantronics C054A printed on it. 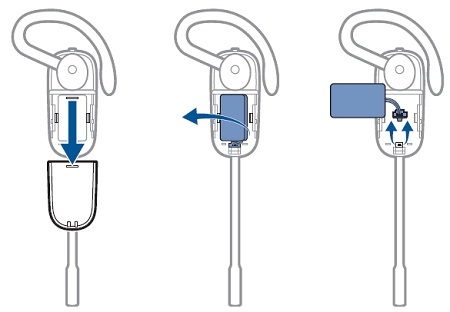 Not interchangeable with other wireless headset batteries, only use in C054A.